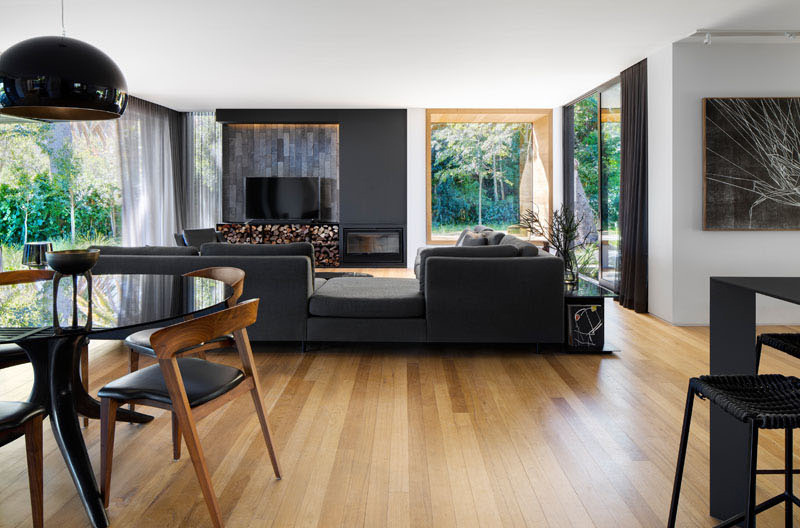 Most homes would make use of neutral colors in its interior. And for the exterior, it would usually be white with some accents of black or brown. But some homes actually use dark colors in most of its areas. And guess what, it looks totally beautiful! Yes, you read that right. It looks beautiful and not dull or ugly like what you would think it turn out. Well, today, we are going to feature a house designed by Greg Wright Architects. If you are a fan of spectacular home designs, you have surely come across one of their projects and all of them are amazing! Like the other home designs of Greg Wright Architects, the house that we will feature today is also awesome not just in terms of design but also in terms of usage, sustainability, and others. Guess what. This house isn’t the same as most houses because it made use of dark colors in the exterior and interior. This is the proof we are talking about earlier. So, scroll down and take a look at what this home looks like. Unique feature: This modern home used dark colors both in the interior and exterior and it looks very beautiful! 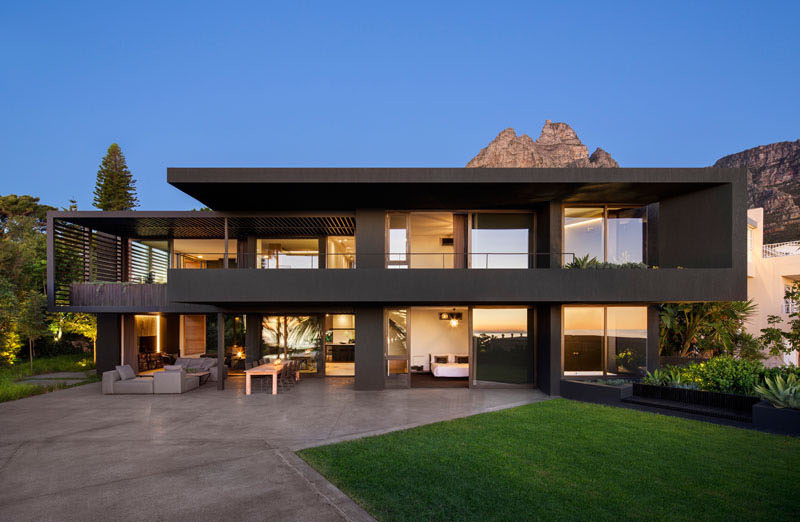 In Cape Town, South Africa sits a beautiful modern home. 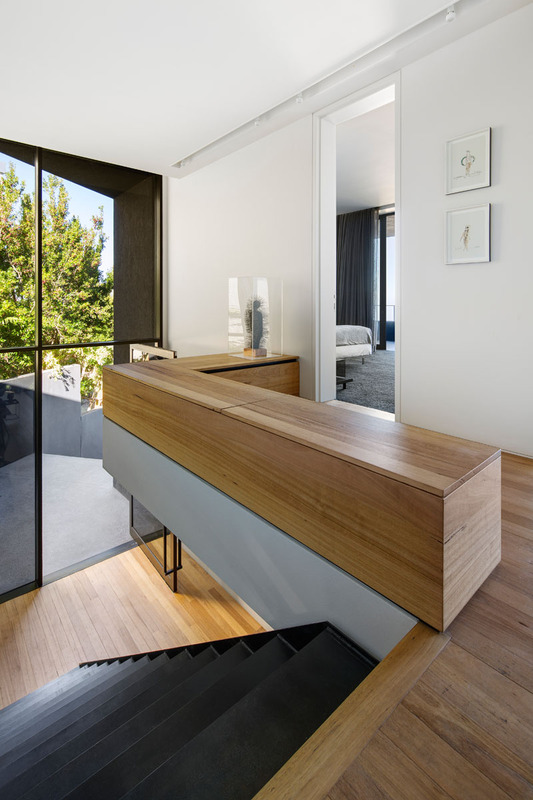 This is a project by Greg Wright Architects which is actually a renovation of this house. The rear of the home has large windows and sliding doors which open the interior to a large patio with an outdoor lounge and dining area. The backyard has a swimming pool. 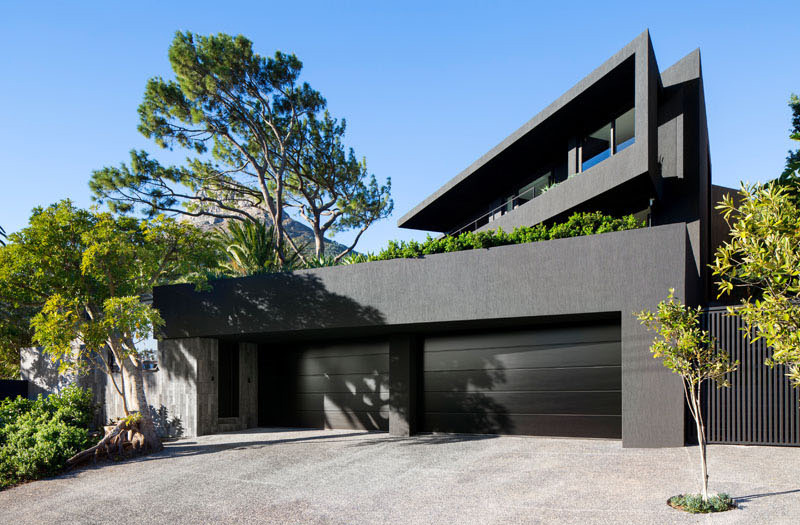 The dark exterior presents a bold modern look when combined with the greenery of the trees. Inside the house, there are many dark elements that are continued throughout the space. However, the use of wood adds a warmth and lightness to the interior. The living room features a tiled wall behind the television and below it is plenty of firewood storage for the fireplace located next to it. The space also features a wood-framed window seat and access to a small outdoor patio on the right. A large window makes the space bright. You can see here the dining area with a round glass dining table and the living room with dark gray sofa. The kitchen is located just near a home office. 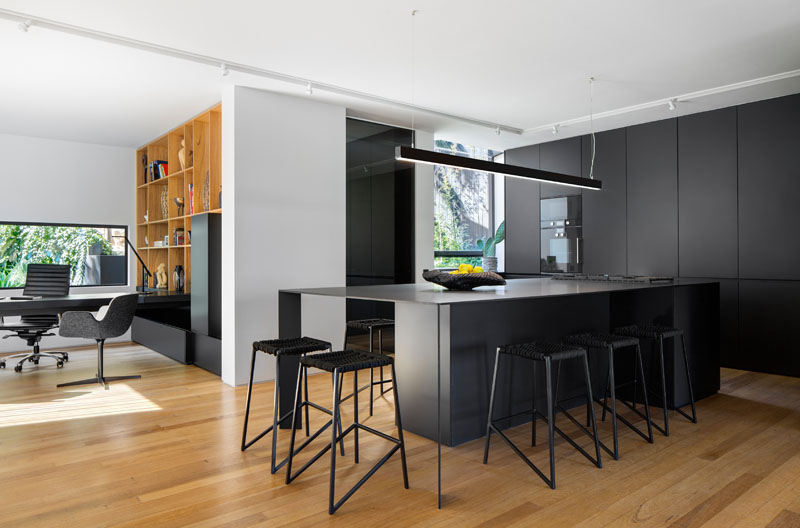 It features matte black kitchen cabinets and a large island with plenty of seating. A home office is located around the corner from the living room. It features a built-in wood shelving which lines the wall. The black cabinets match the black desk in this area. 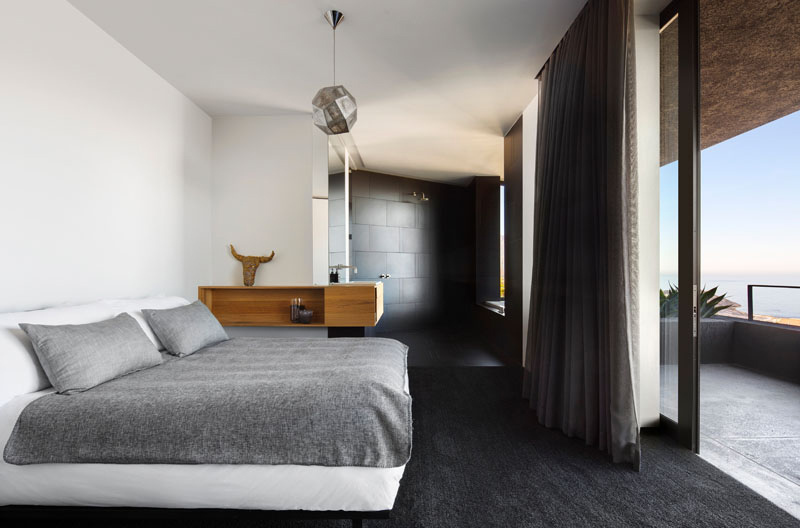 Black carpets in this bedroom create a lovely contrast with the white walls and bed. There is also a black en-suite bathroom with a built-in bathtub is open to the rest of the room. The bathroom in this house is black with a wooden floating vanity and a white bathtub surrounded with glass windows. The mirror on the wall made it look more spacious. The master bedroom has another window seat nook that matches the wood accent wall. It also features black cabinetry and carpets which complements the grey tones in the bedding and on the headboard. Next to the wood accent wall in the bedroom is a bathroom which is also open to the bedroom. It features a built-in bathtub that has views of the balcony and trees in the distance. This one is the balcony located off the bathroom and master bedroom. It also used black in the area. Even the furniture is black! It also looks nice with the plants along its side. Stairs lead up to the second floor of the home to the bedrooms. This black steel staircase is located by the front door. Large windows flood the staircase with natural light. 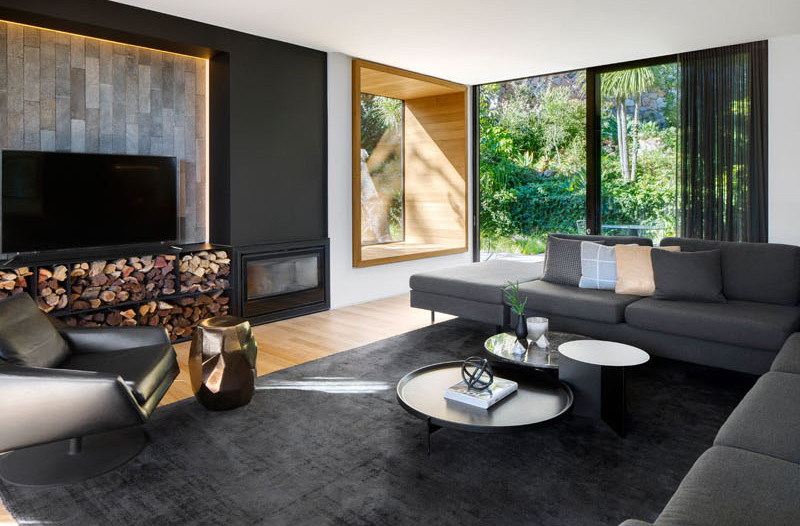 If you think black will not work well for your home, then this house design byGreg Wright Architects will definitely change your mind. You can see how it used black on the exterior and also inside the house. Even the bathroom is black too! But you noticed that it doesn’t have that Halloween feel, which you might expect. Instead, it looked timeless, striking and totally unique! This house makes us think that we can actually use the same for our future home. And it isn’t really just about the colors you use. It is about how you plan your entire home including the lighting, layout and all! 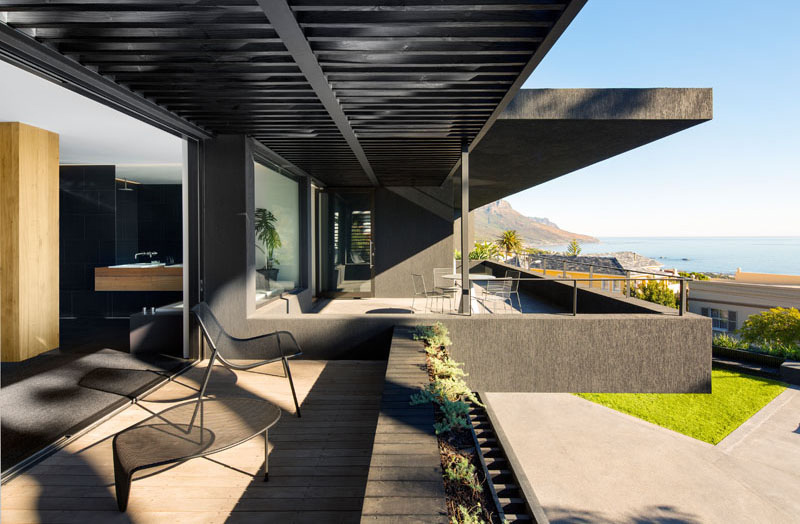 If everything is well planned, then you will get a beautiful home even if it used black!